Volunteers will serve at the Habitat Restore by organizing, pricing and cleaning donations. If you would like to join this outreach team, please contact Nancy Friend. The Slovenia Mission Team will sponsor a Yard Sale on Saturday, May 4, from 7am-12 noon. 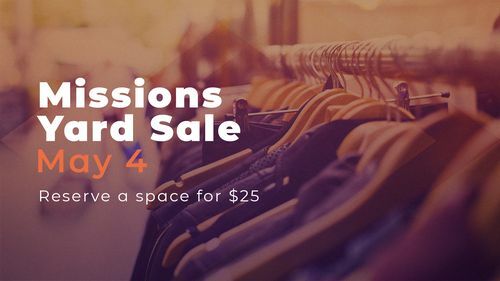 You may register online to reserve a space for $25 to sell your items. (Each space is equal to 3 parking spaces). The first 25 people to register will have an 8' table on their spot to use to sell their items. Shoppers are welcome! When volunteers trust in the power of the Holy Spirit to equip them for ministry, lives are transformed. Often, those who serve to bless others receive more of a blessing themselves than they ever could have imagined. Ask God where He is asking you to serve. Take a step of faith and contact that coordinator. Click on the link below to see all of Crossroads missionaries! Click the button below to learn about organizations that we partner with! 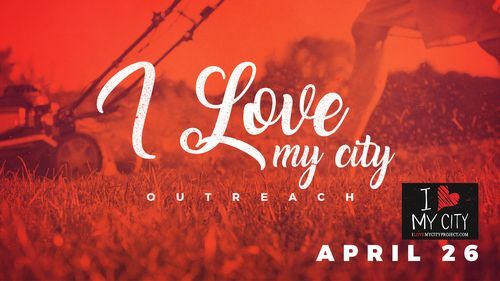 Questions about outreach & missions?